Coffee means a great deal to a great many people, but its primary purpose in our lives is to perk us up and make us presentable to the world. Right? 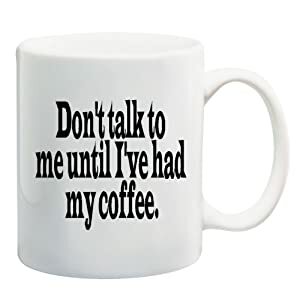 Isn't that why so many of us buy mugs that say "Don't talk to me until I've had my coffee?" Well, there are some wonderfully positive long-term effects that coffee can have on your body too, and it's time to consider them. Did you know drinking coffee can help your stress levels, boost your liver health, and possibly even make you smarter? In honor of National Coffee Day on Sept. 29, check out the video above to see the six ways java can make you a better person. For more information on the reasons in the video above, read all about the reasons you should drink coffee every day.